Community Living is the best way to age well. Study after study has proven it, but often, adult children are faced with resistance when they discuss a move with their aging parent. If you think your parent may benefit from a move, knowing the signs can help support the conversation. If your Mom or Dad is living in a house they’ve occupied for decades, they may be associating the house with their self-sufficiency when, in fact, it may already be negatively impacting their independence. Observe objectively and be aware of telltale signs that they may be in need of greater support and socialization than they can achieve if they stay in their house. Nearly every home gets a little messy once in a while, but if you notice that your parent’s house is consistently in disarray, it may be a sign that it’s time for a change. Things like expired and rotting food in the fridge, dirty dishes in the sink, excess clutter throughout the house, a yard in disrepair and broken appliances that never seem to get repaired are all signs that your parent may be struggling to keep up with housework and/or home maintenance. Poor personal hygiene such as unwashed hair, teeth that aren’t brushed or body odor can be another sign of a problem. An older adult wearing clothes over and over again or wearing obviously dirty clothes may be struggling to care for himself. Unexplained bruising or injuries is another sign of trouble. If your parent is struggling with balance issues, they may be tripping or banging into hard objects in the house. This may be a sign that it’s no longer safe for them to be home alone. If your loved one is starting to act moody, aggressive or confused, this could be a another red flag that things may not be going well at home. Be aware also for any loss of interest in things that they used to love, as this could signal anxiety or depression. The quality of life for a parent who is severely depressed or anxious is often greatly improved simply by living with other people. It’s not unusual to forget or misplace things once in awhile, but if you notice that your parent is forgetting to pay bills, missing doctors appointments frequently or having more trouble than usual remembering names, these could be early warning signs of dementia. Also, keep in mind that dementia isn’t simply loss of memory. Look for signs that Mom or Dad seems unable to make plans or to follow through with instructions. A big red flag is if your parent is making uncharacteristically poor decisions, such as leaving the stove on, taking a walk late at night or buying things they don’t need. If you have concerns about your parent’s cognition, consult with a medical professional for advice and recommendations on options for the best care. Is Mom still meeting with her lunch buddies, playing bridge or chatting on the phone with friends? Often, as we age, our world gets smaller and smaller as friends pass away or our circumstances and abilities change. This can have an enormous impact on health and cognition. How can you spot a sign that Mom may be isolated? When you talk to her, does she update you on news that isn’t about doctor appointments or requests for help with household issues? If she’s not mentioning friends, neighbors or family members, it’s likely that she isn’t communicating with them. A senior living environment is rich in opportunities for developing friendships, exploring new interests and simply being with others. Nowadays, it’s not uncommon for older adults to have as many as a dozen drugs to manage. Even with pills counted out in a daily pill box, following instructions about taking them throughout the day and being on the lookout for drug interactions is a lot to expect from any non-medical person; particularly if there are concerns about even mild dementia. 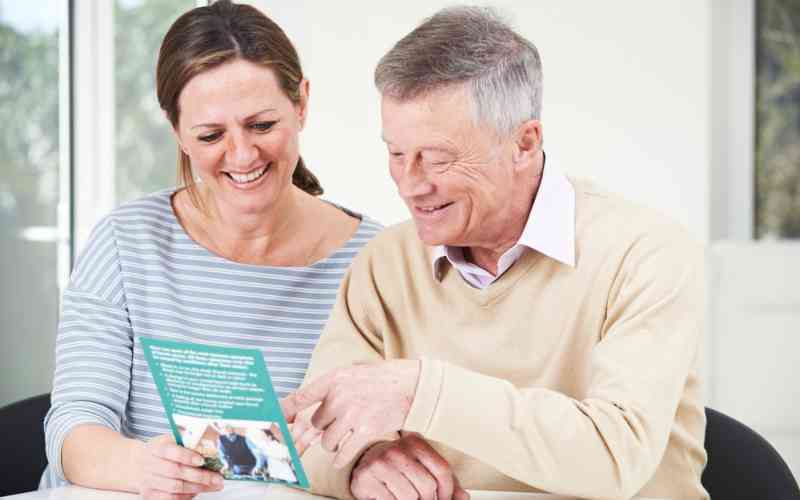 If your parent has a complex drug regimen to adhere to, he or she may benefit from the medication management that an assisted living community provides. At The Maples of Towson, our care staff will provide the support your parent needs to live well and to be as independent as possible. Our mission is to make every day the best day possible and we achieve that for our residents through our engaging lifestyle programs, fine dining, sophisticated atmosphere and highly individualized supportive care. To learn more, schedule a tour with us today.